Various chandelier options are available - just ask! Our luxury toilet trailers include all equipment so just need to be plugged in and they're good to go! We have a small selection of Garden Furniture to enable guests to enjoy the great outdoors too! 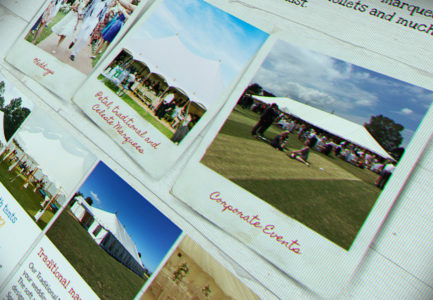 Our Traditional Marquee letting the beautiful British Summertime in! 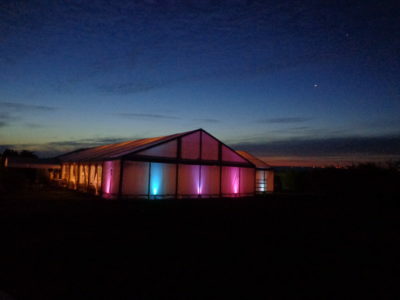 Evening shot showcasing coloured uplighting and the party in full swing! Small Garden Party? No problem with this beautiful little structure - also ideal as a Chill Out Area to it's bigger Petal sisters! This colourful interior shows how versatile our Petal Marquees are - your bespoke venue! Banquet style seating set up for a Summer Wedding with sides open to let the outside in! Natural Wooden Trestle Tables no need for cloths! 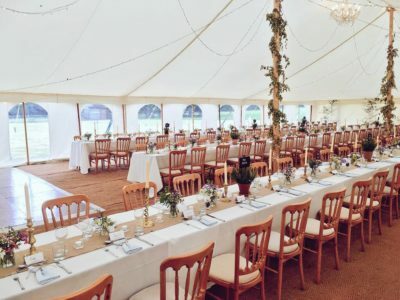 This beautiful Traditional Marquee interior showcases banquet style seating and the open window sections let the outside in! Our 40ft x 60ft Petal Marquee letting the outside in!